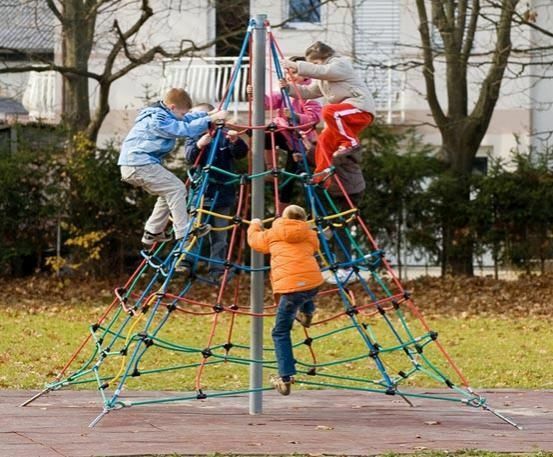 Climbing pyramid made of ropes, for single and group play, a real attraction for parks, beaches and sports areas. It consists in a series of coloured networks with high strength rope of ø 16 mm, with internal steel core and connecting heavy duty anti - tampering joints. 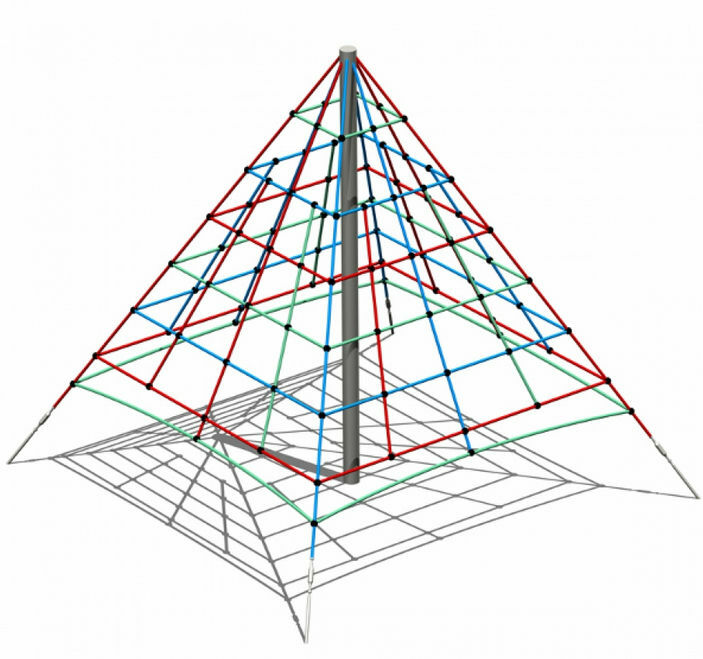 The center pole support is made of galvanized steel. The layout and the distance between the meshes of the climbing net is specifically designed to provide maximum safety for the users. It should be fixed to the ground using special rods connected to four blocks of concrete foundation. We recommend a antishock ground such as sand, gravel or bark. 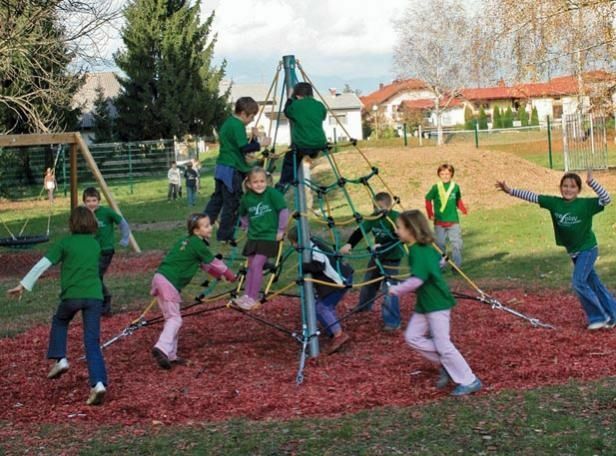 The structure was designed and tested for a load of 20 children weighing 53 kg.